The Florio family was one of the most famous Italian families between the 1800s and 1900s. They began building their fortune at the start of the 19th century, an industrial fortune that grew until the First World War. They constructed ships, managed routes to South America, imported all kinds of products with their boats. A family from Palermo, they maintained relations all over Europe and were a symbol of the Belle epoque. The exceedingly famous Boldini portrait depicting the beautiful Donna Franca Florio is representative not only of a family, but an era. On the island of Favignana in the Egadi Islands, which the family purchased, they built the Tonnara. Creating employment for a large number of the islandís inhabitants, they gave life to the largest tuna fishing and storage factory in Europe. It was here that a new production method was tested: rather than producing cured tuna as per the then custom, for the first time the tuna was stored in oil and canned, then sold all over the world. The island of Favignana also became a popular holiday destination and in 1874, the Florio family built their villa overlooking the tuna factory. 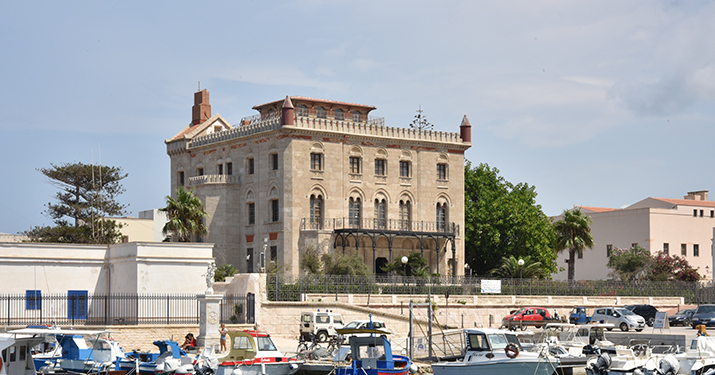 Designed by architect Giuseppe Damiani Almeyda, the villa featured a dazzling veranda in cast iron cast by the Fonderia Oretea, owned by the Florios themselves, who enjoyed gathering beneath its shade. Unfortunately, with the passage of time, the veranda was in a decidedly precarious state. Its conservation was truly terrible. When the villa was restored, restoration of the external structure was neglected. By that point it had been compromised by its proximity to the sea, which had even corroded its decorative lions. NERI was entrusted with the difficult task of salvaging this precious artefact so rich in history. Its condition, however, did exclude the possibility of restoration and limited the work to a faithful reproduction of the entire structure and its decoration. For each piece, the best-preserved sample was selected, before being cleaned and completed with any missing or altered parts and used as a model for the new castings. 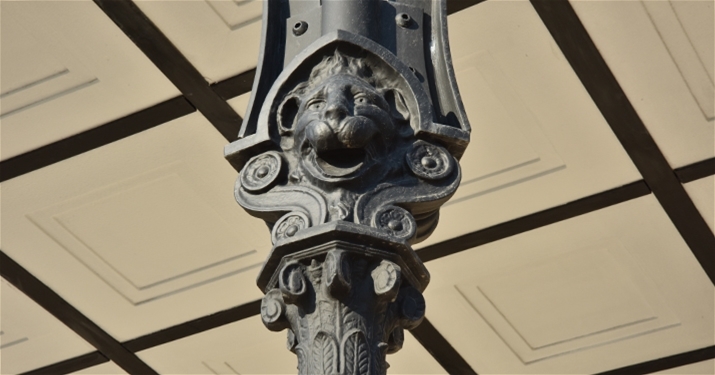 This took place for the lions atop the columns used as drainpipes and also for the bases and columns, whose internal model, the core, was constructed in wood to achieve the empty space in the casting. 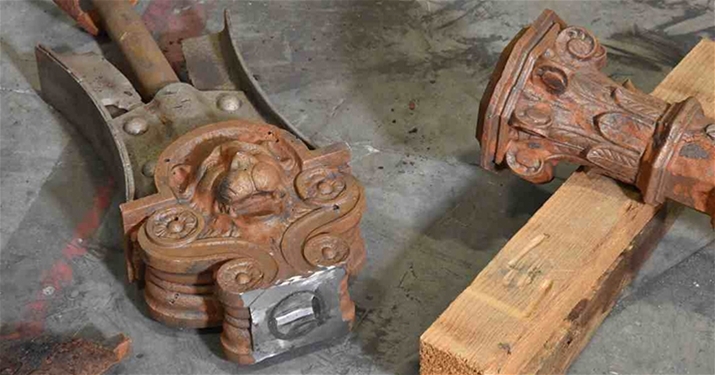 Thanks to the models made this way, the foundry, with great mastery, was able to recast the samples necessary for the compete reconstruction of the veranda. 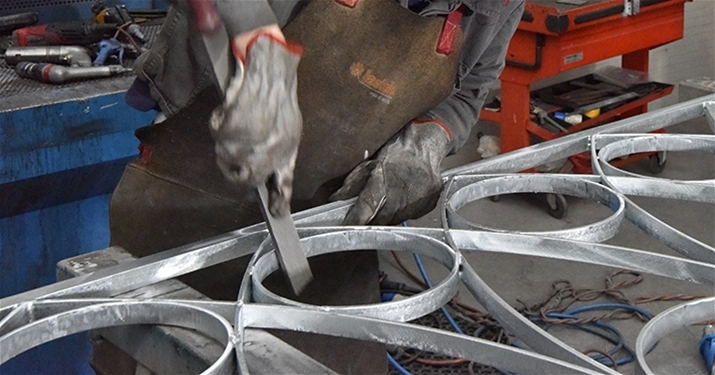 Each casting was then cleaned up and wrought to make the decoration stand out as much as possible. The challenge of perfectly combining structural elements with decorative ones led to the decision to create an in-company preassembly, so as to identify the critical points in advance and implement necessary changes. 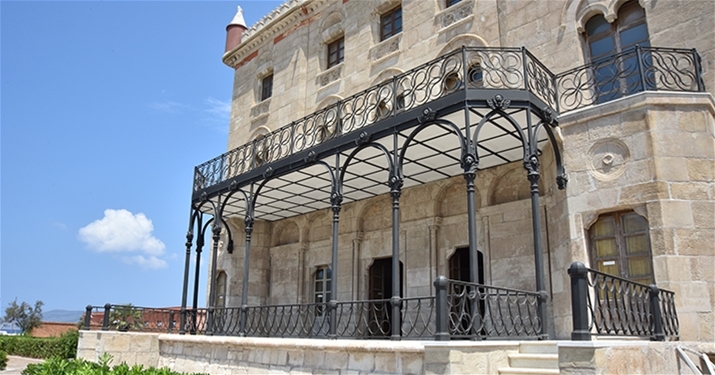 The iron railings that acted as a balcony between the columns and the railings located above the veranda were also faithfully reproduced. Lastly, everything was sandblasted, stuccoed and immersion painted grey, the colour of cast iron. No difficulties were encountered when mounting the veranda in Favignana ñ everything was prepared beforehand and every small detail accounted for. NERI is proud to have saved a unique piece of architectural and historical heritage of great value.